Gorgeous! Shinigami's heads are... well, scaring! 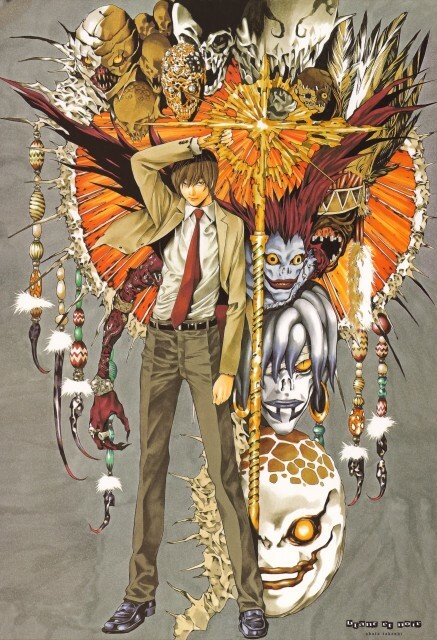 Nice scan of Death Note this Art Work is always creative with no simple things always interesting :). Especially the Shinigamis characters always detailed and very distinct too, thanks for sharing :). Oh, the gold - just how does this Obata-guy do it? XD Thanks for the pic! KIRA LIGHT IS KIRA. thanks for sharing! thanks for sharing! thanks for sharing! thanks for sharing! thanks for sharing! thanks for sharing!